Opiate addictions take a lasting toll on the body that makes it especially difficult recovering addicts to maintain abstinence on an ongoing basis. According to the Substance Abuse & Mental Health Services Administration, as many as two million Americans abuse opiates within any given year. Unfortunately, the longer this abuse goes on the harder it will be to kick the habit. Trends in opiate addiction treatment work towards addressing the long-term aftereffects of opiates on the body. New medication therapies, such as LAMM, Vivitrol and Probuphine implants offer promising results that ultimately make life easier for people recovering from opiate addictions. While these new medication therapies do make use of existing opiate addiction treatment approaches, researchers have worked to enhance the benefits of each approach to produce more effective opiate addiction treatment solutions. The damaging, long-term effects of chronic opiate addictions make recovering addicts susceptible to relapse for months and even years into the recovery process. Chronic opiate use gradually weakens the brain cells responsible for secreting essential neurotransmitter chemicals. As a result, brain chemical imbalances impair normal psychological and physical function, which all but diminishes a person’s ability to function normally in everyday life. The use of medication-assisted therapies have become commonplace within the opiate addiction treatment field. Medication-assisted therapies offer a type of physical support for brain chemical processes affected by long-term drug use. The medications used can vary in how they target specific brain functions, with each drug producing a different therapeutic effect. Trends in opiate addiction treatment have brought about some new and innovative approaches for medication-assisted therapies. Medication maintenance is an important part of opiate treatments. LAAM, short for levo-alpha acetylmethadol, works in much the same way as methadone in reducing opiate withdrawal and cravings effects. 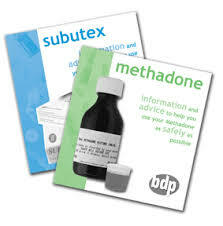 Whereas methadone requires daily dosage amounts, LAAM produces a longer-acting effect that lasts for two to three days, according to the National Criminal Justice Reference Service. As an opiate addiction treatment, LAAM’s long-acting effects eliminate the need for daily visits to a treatment facility, as is the case with methadone therapies. Compared to methadone, LAAM also does a better job at keeping withdrawal and cravings effects in check. Vivitrol exists as one of the few non-narcotic, non-addictive drugs used in opiate addiction treatment. Vivitrol is derived from naltrexone, an antagonist agent that blocks the effects of opiate-based drugs. According to the National Institute on Drug Abuse, Vivitrol has an extended-release effect that works to diminish ongoing drug cravings. Its ability to block opiate receptor sites in the brain also prevents a person from relapsing as Vivitrol’s mechanism of action prohibits opiate-based substances from stimulating cell receptor sites. In effect, Probuphine implants deliver a steady dose of buprenorphine into the bloodstream for a six-month duration. In the process, recovering addicts gain continuous relief from cravings and withdrawal effects.